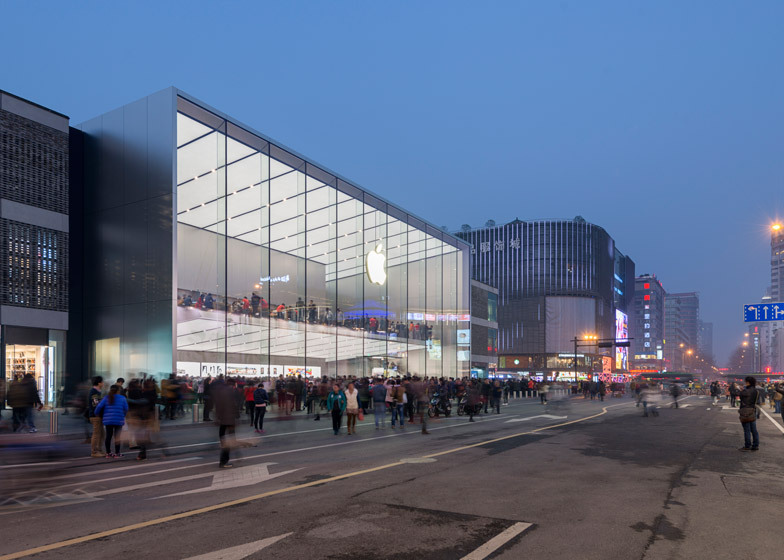 News: Foster + Partners has released photographs of its new Apple store in Hangzhou – one of five new shops that the company is opening in China ahead of Chinese New Year (+ slideshow). 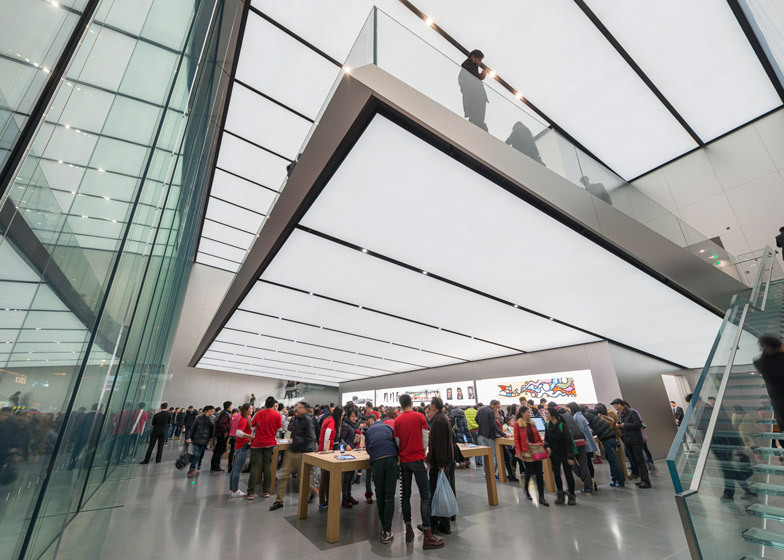 The store – located close to Hangzhou's West Lake – is a 15-metre-high glazed box boasting a glowing ceiling, a cantilevered floor and glass staircases, and is one of Apple's largest retail outlets in Asia. 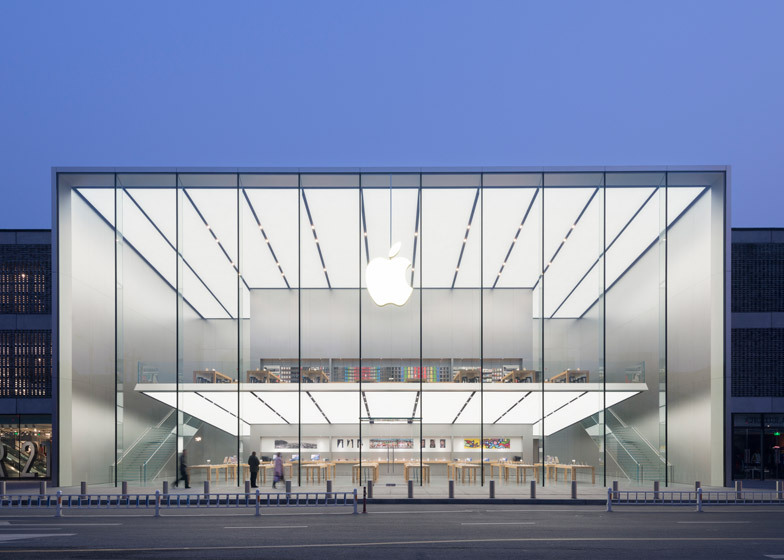 According to Foster + Partners, the design "combines an understanding of the local context with the philosophy of simplicity, beauty and technical innovation that characterises Apple's products". 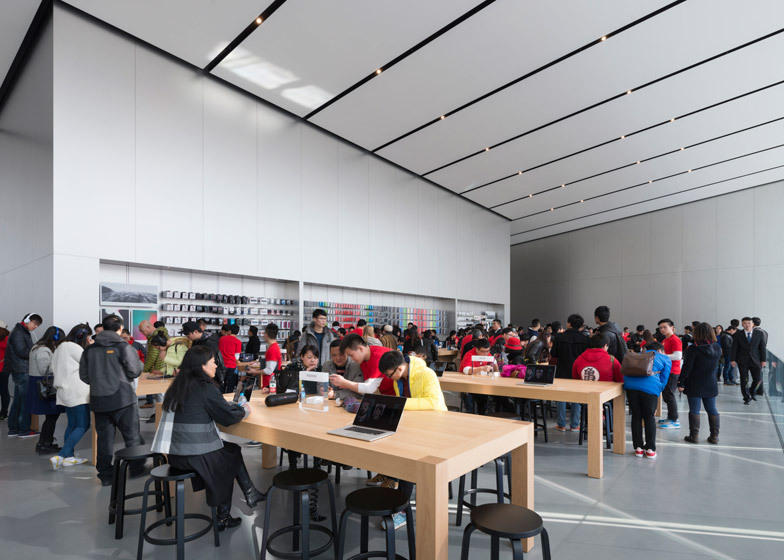 The West Lake Apple Store is one of five new shops that Angela Ahrendts – Apple's senior vice president of retail and online stores – said would open in the country before Chinese New Year, which takes place tomorrow. The first opened in Zhengzhou, capital of central Henan Province, on 10 January. 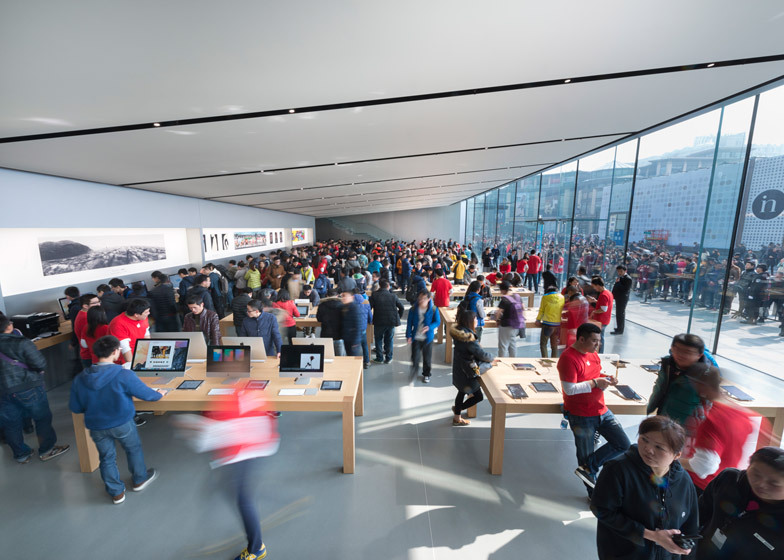 The West Lake store followed two weeks later under the steer of Norman Foster's firm, which took over the design of Apple's stores in 2013. 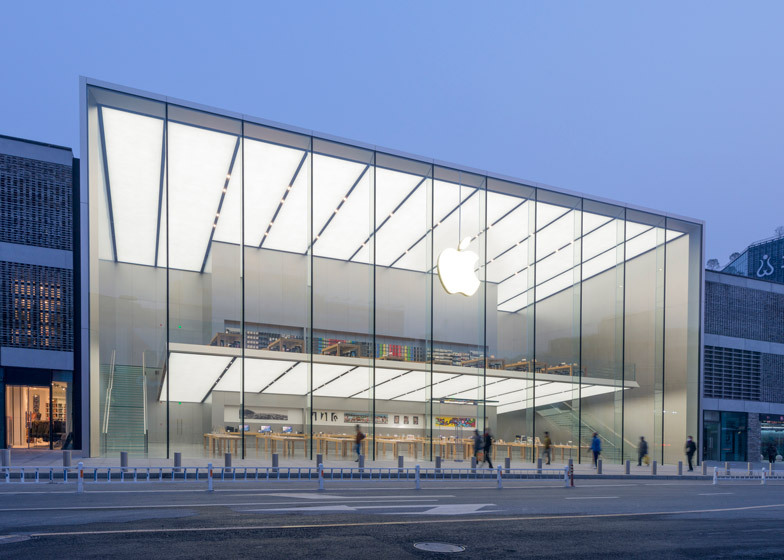 Completed in collaboration with a team that included representatives from Apple and engineering firm Eckersley O'Callaghan, the building features an entirely transparent facade made up of 11 double-glazed panels. Mechanically controlled blinds offer shading when necessary, but can be concealed within the ceiling. The upper floor projects 12 metres from the rear wall, creating a nine-metre-high space intended to evoke "a sense of space and calm". "This gives the impression of a floating stage in the centre of the space – a new living room for the city," said the architects. 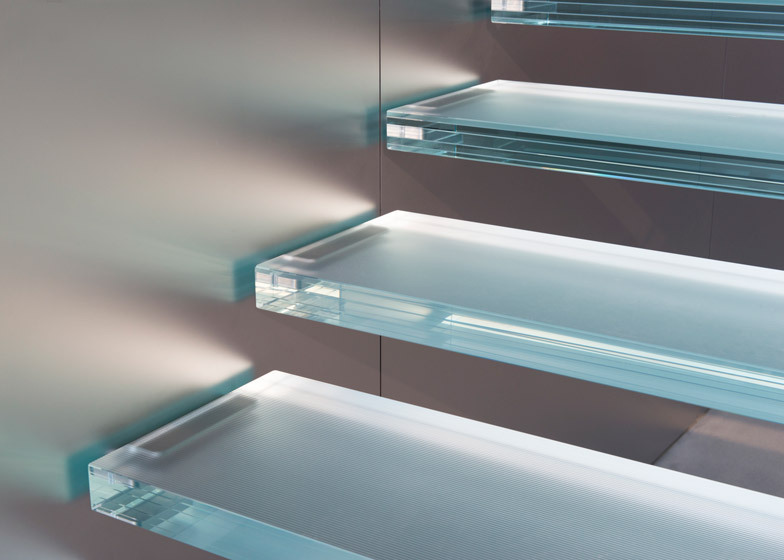 The use of mass dampers – harmonic absorbers that reduce the amplitude of mechanical vibrations – made it possible to make this floor uncommonly thin. It tapers from 1.2 metres to just 10 centimetres. 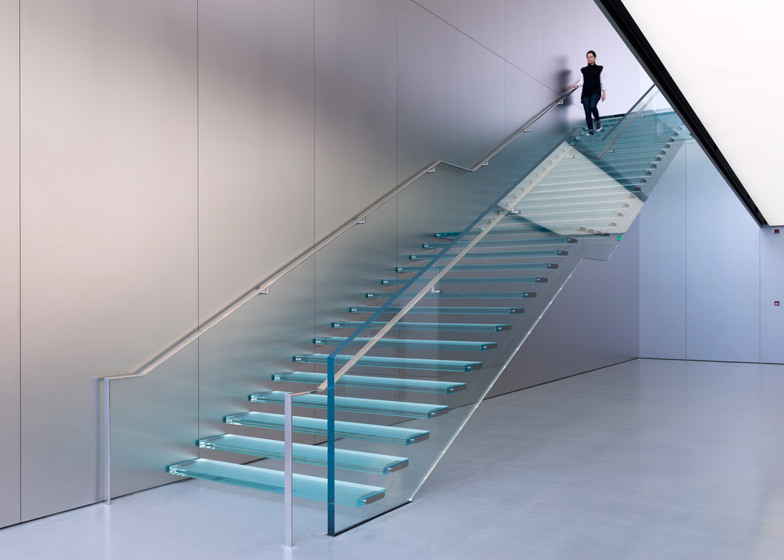 Foster + Partners began its collaboration with Apple in 2009 with the commission for Apple Campus 2, the company's new California headquarters. 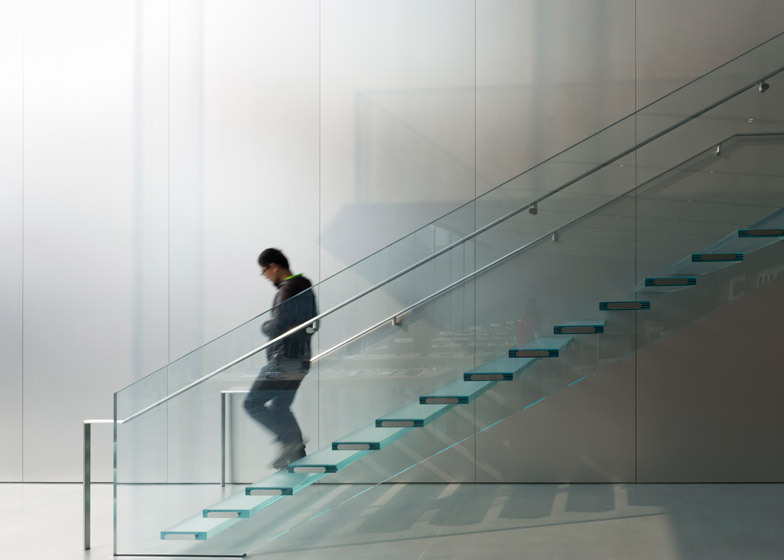 The first Apple store completed by the firm was in Istanbul, Turkey, and another is also underway in San Francisco. Photography is by Nigel Young, Foster + Partners.